The National Heritage List – a case of mixed priorities? The National Heritage List for England (NHLE) is the only official, up to date, register of all nationally protected historic buildings and sites in England – listed buildings, scheduled monuments, protected wrecks, registered parks and gardens, and battlefields. Sounds good, no? And in even better news, as recently reported by the BBC, the NHLE has recently had an update, with 17 new sites being added – including an industrial estate, a business park that “features circular forecourts following the turning circle of a car” and a Crown Court building which first opened in 1988. Whilst we’re sure that these are all worthy in their own way of their place on the list, we can’t help but wonder about the omission of some much older sites, many of national importance. Elizabeth Dale, a friend of the Heritage Journal, recently highlighted some of the very important omissions which are in danger of being lost to development on her blog: see “Our Defenceless Monuments.”. And World Heritage Site status doesn’t afford any more protection to unlisted sites within the boundaries than to those outside of it. Blick Mead is a case in point within the Stonehenge and Avebury WHS area, it remains unprotected by scheduling and in danger of being damaged (if not totally obliterated) by the groundworks for the planned tunnel at Stonehenge..
Whilst, in theory, anyone can nominate a site to be scheduled, there does not seem to be an easy way for a member of the public to find how to actually go about this. For instance, searching on Google for Scheduled Monument Application brings up many links, most of which refer to Scheduled Monument Consent – which is something entirely different and is a way for Developers to apply for permission to work within and around scheduled monuments. But if an application is put in, to suggest scheduling and protecting an unlisted site, even nationally important sites are scheduled only if it is felt that this is the best means of protecting them! 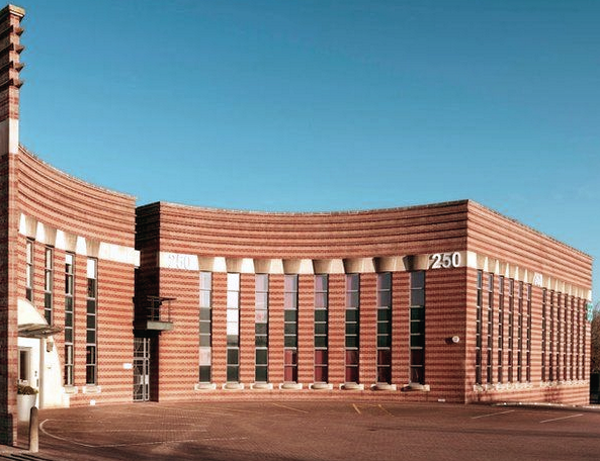 Protected: Aztec West Business Centre, South Glocs. Alice Farnsworth is back, to answer another reader’s archaeological query. Don’t forget to send in your questions, and you may be lucky enough to get your own answer from Alice! Q. As the old adage goes: ‘Take only photographs, leave only footprints‘, but don’t footprints cause erosion to delicate sites? How can I minimise my interactions with our ancient sites, given that I feel visiting a site in person is the only way for me to truly experience it? A. Ha! Yes, it’s true that footfall is a major cause of erosion at our ancient sites, especially at the more popular sites. For instance, the banks at Avebury have often been fenced off to allow the soil to recover from visitors. There is no simple answer to this question. 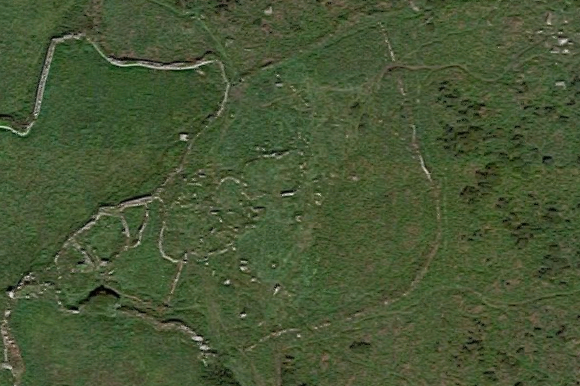 one way to minimise impact would be to only view sites from a distance (as enforced at Stonehenge), but I can see that this is unsatisfactory in many ways. 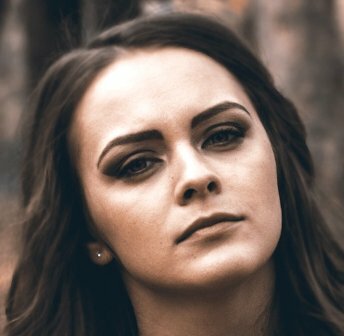 Limiting your visits to sites that are much less popular with tourists would allow you to gain the interaction you seek. But remember that many of the lesser known sites are on private land where permission may be needed to visit them, or may be off the beaten track with the safety issues that that implies. 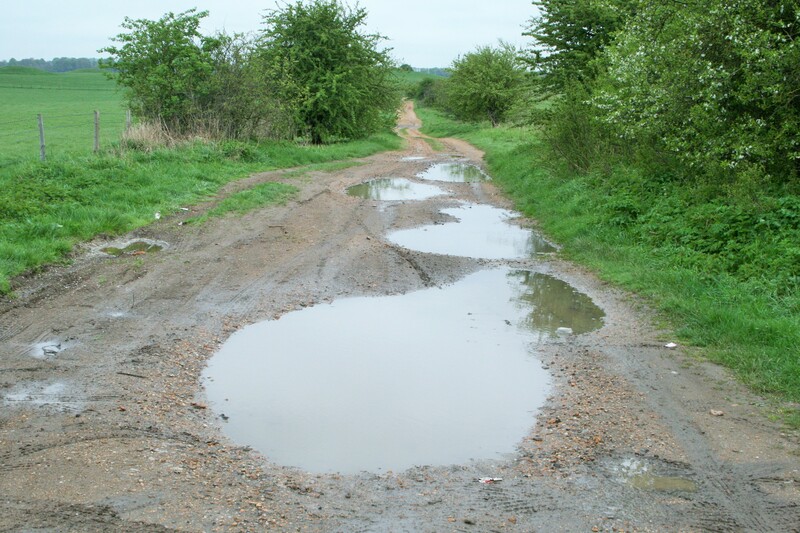 Ensuring that you only visit in periods of suitable weather will also reduce the impact of your visit, as fragile sub-surface archaeology can be unwittingly damaged when the ground is sodden. But beware if the weather has been too dry, as the ground underfoot may then crumble and erode, and again, archaeological evidence could be destroyed. Of course, when visiting any ancient or historical site, you should always attempt to remove any rubbish left behind by others less considerate than yourself, and of course, ensure you do not leave any detritus of your own. In short, enjoy your visit, and leave the site as you would hope to find it – in its natural state. 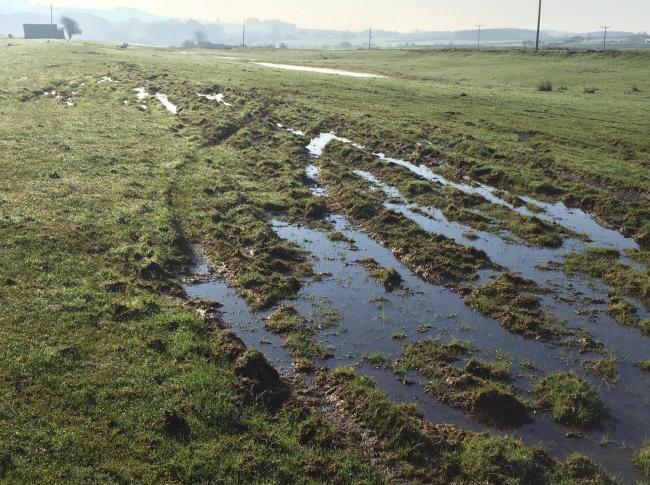 One Rule for Avebury’s Ridgeway – another for Stonehenge’s Byway 12? 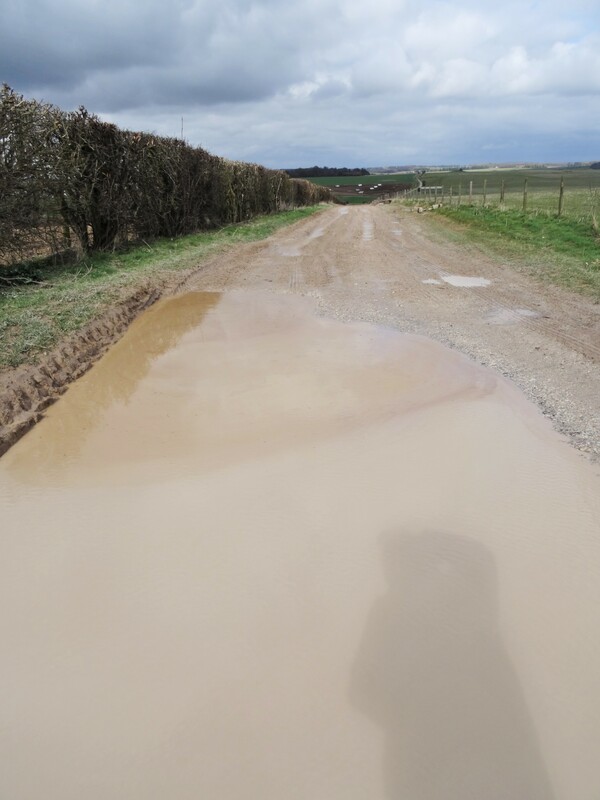 Rain is forecast that will significantly add to the standing water on Byway 12 at Stonehenge today – the stretch south of the A303 can be seen in the accompanying photographs taken during April. We might then recall that Highways England adopted Byway 12 in September 2016 as an access route for digging machinery in connection with the now abandoned western portal location for the Stonehenge tunnel, and in the coming weeks a repeat performance is expected, in the name of the Stonehenge tunnel scheme now totally discredited by ICOMOS UK. 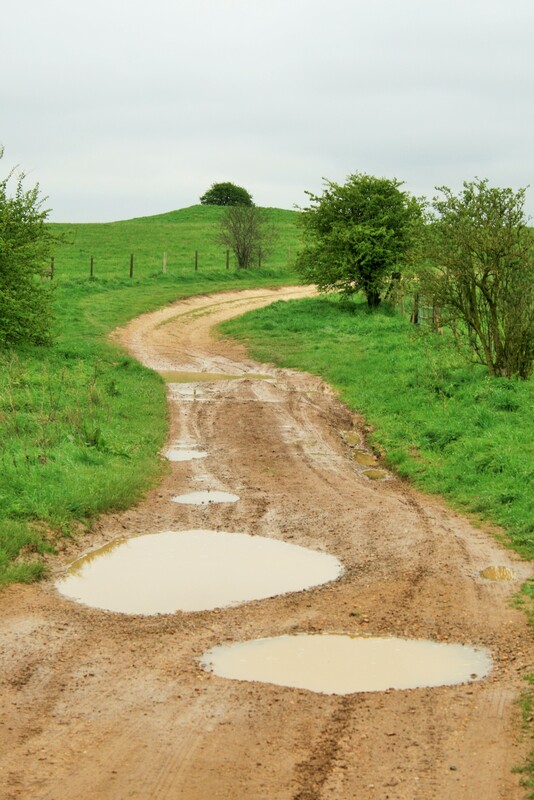 Why then is Wiltshire Council rightly protecting the Ridgeway at Avebury, but failing to extend protection to Byway 12 in the Stonehenge half of the WHS (World Heritage Site)? Keep the diggers off Byway 12 please! 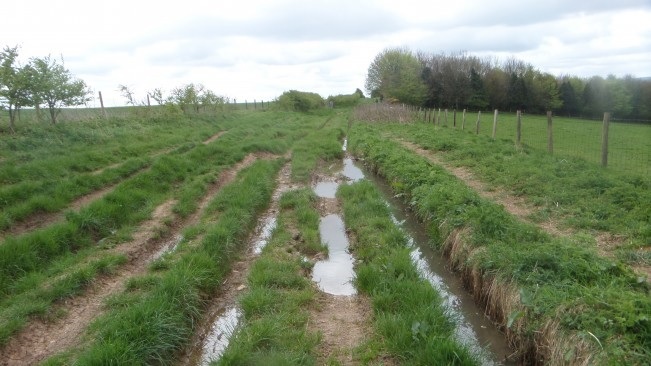 Like many places, the Ridgeway as it passes through Wiltshire has suffered from the intense periods of snow and ice in 2018 that has left precious archaeology vulnerable in the wet conditions. 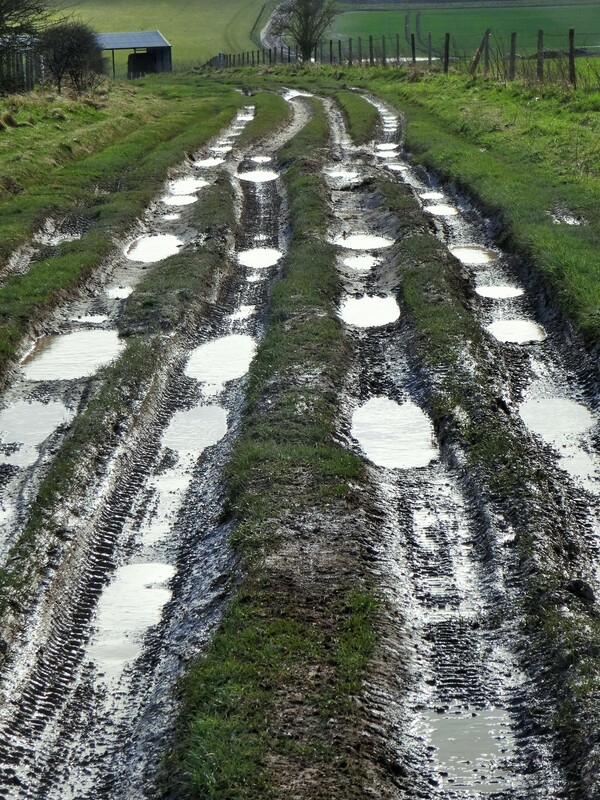 A section of this route near Avebury has though a knight in shining armour: Wiltshire Council has extended the annual prohibition of public motor vehicles which usually runs from 1 October to 30 April, for a further 21 days to protect the surface and archaeology from further damage. It has even been stated that if need be this prohibition of motorised vehicles could be extended further for another 21 days whilst remaining open for walkers, horses, and cyclists. 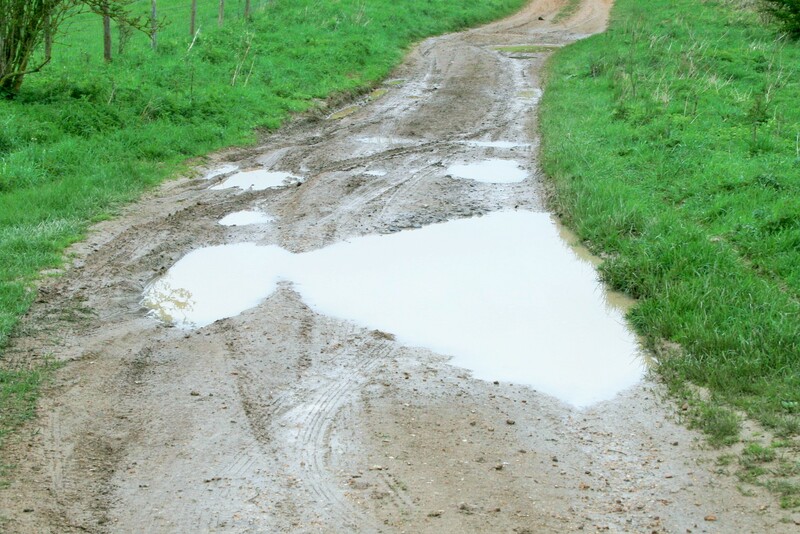 “The weather in recent weeks has left the surface of the byway severely rutted, and it is still holding water in numerous locations. “There are globally important archaeological features on and immediately below the surface and they need to be protected from further damage. Well done Wiltshire Council, credit where due and all that. “Cockfield Fell contains archaeological remains from the prehistoric period through to the 19th century and is a very important scheduled monument, which is protected by law. Well done Historic England, credit where due and all that. Post Brexit conservation set to be worse than feared? 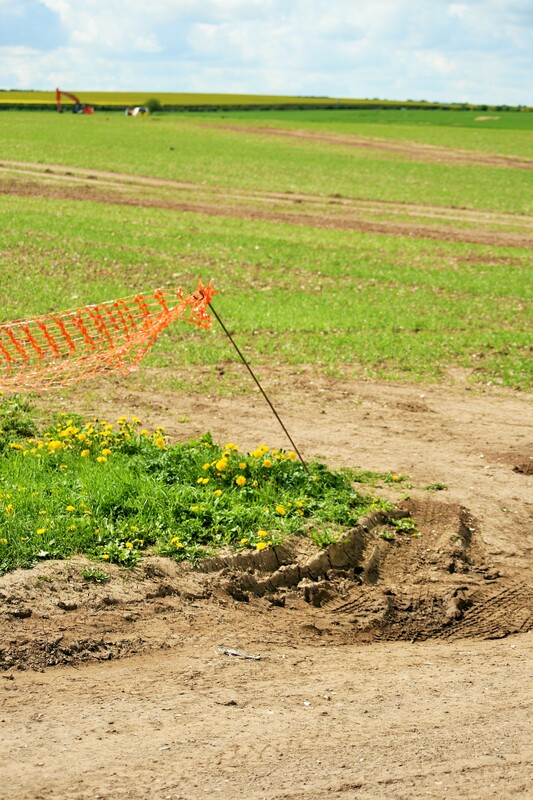 In May last year an Archaeological Forum briefing predicted that given how deeply the EU laws are embedded in domestic law, any change “is likely to take many years, with many laws remaining in place for years or decades”. Since then however the mood music has been changing progressively and it’s now clear that Brexit will mean less spending on environmental and archaeological protection. The EU habitats directive is to be repealed and there’s scant hope it will be replaced with anything as effective. Already that nice Mr Gove has urged that we “Slash EU regulations on wildlife protection and drug safety trials after Brexit“. Following our efforts to persuade the BM to stop portraying metal detectorists as “citizen archaeologists” we’ve been òffered the title of Citizen Conservationists! (Paul Barford, “Victory for reason”). We accept! Not for ourselves but for the tens of thousands of people who visit, research and study archaeological and historic sites and keep to the mantra “take only memories, leave only footprints”. A number of such people will be at our Megameet at Avebury Stone Circle this weekend. Not for personal gain and without any supportive infrastructure – no media savvy Whitewashing Department, no Culture Secretary saying they’re heroes and no team of Liaison Officers tagging along, emphasising the positive and spinning the negative! 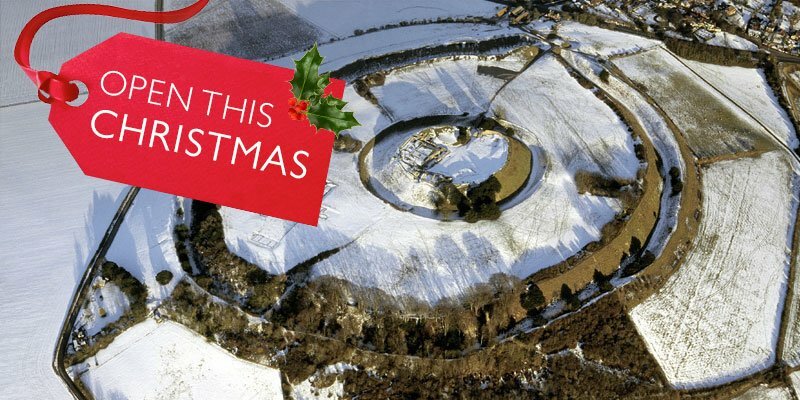 There’ll be nothing to spin at Avebury. Those people don’t visit archaeological sites to take bits of them home in a bag. Nor do millions of others. Maybe the BM should start promoting them? Local love for a Shropshire heritage site is being put to good use through a progressive new volunteering initiative. Earlier this year on Valentine’s Day, residents of Oswestry on the Shropshire/Wales border congregated on Old Oswestry hillfort in a symbolic hug of protection. Now they are turning their affection into hands-on support with the monument’s maintenance under the supervision of its national guardians, English Heritage. Members of the HOOOH Community Group, which is promoting local engagement in Old Oswestry’s future, are recruiting volunteers to help English Heritage with landscape management and monitoring. Tasks will range from scrub clearance and pond maintenance, to taking fixed-point photos and supporting environmental initiatives to aid the hillfort’s preservation and upkeep. 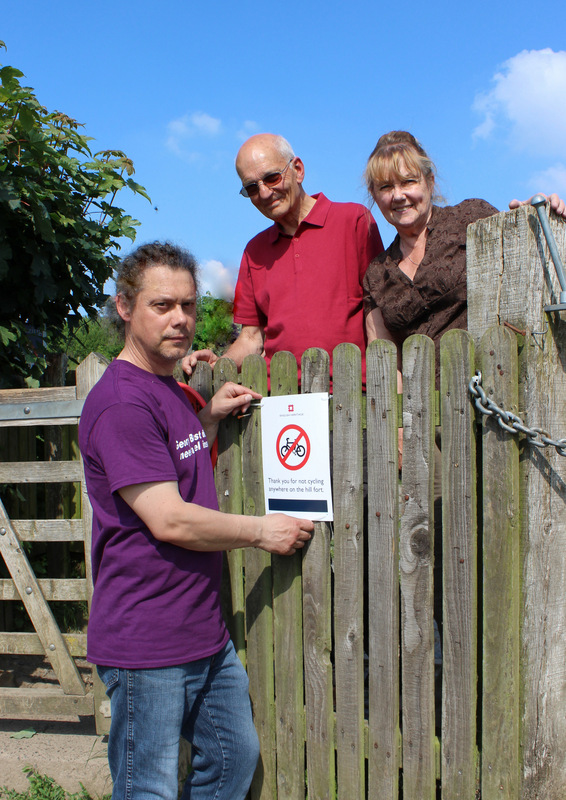 (L to R): HOOOH Community Group volunteers Neil Phillips, Rob Baur and Katie Jones install a ‘No Bikes’ sign as their first task working with English Heritage. 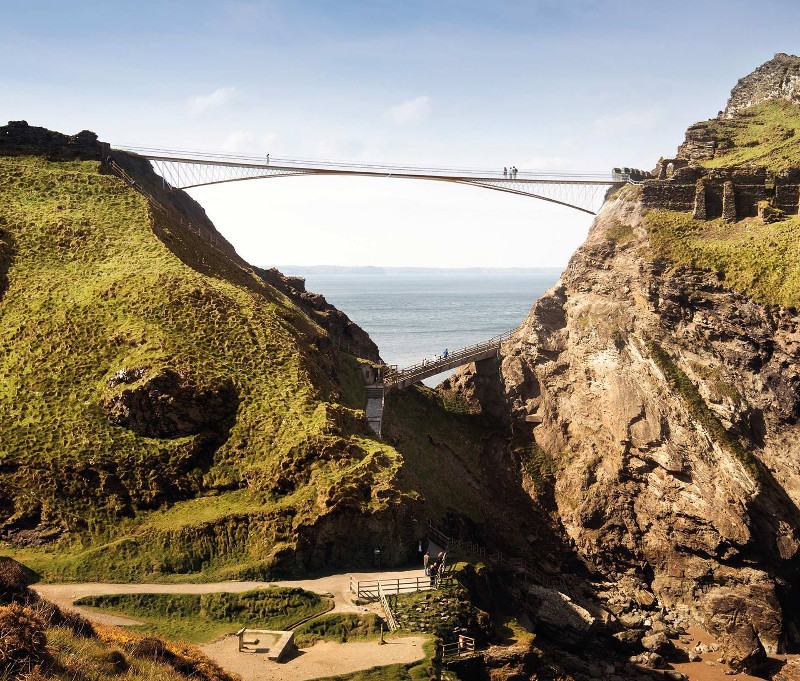 English Heritage is also keen to work with other local organisations including colleges with expertise and interest in undertaking potential biodiversity and animal management initiatives on the fort. The scheme is one of just a few in England involving local volunteers in landscape maintenance combined with environmental and wildlife initiatives at an English Heritage site. It is hoped that the success of the partnering at Old Oswestry will pave the way to more volunteering of this type, especially at unstaffed and more remote properties. English Heritage is the charitable trust which cares for over 400 historic monuments, buildings and sites across the country – it became separate from Historic England, the government service championing and offering advice on heritage, in 2015. As part of its mission as a charity, English Heritage is committed to including the wider community in its work and expanding opportunities for volunteers. Currently, around 2,000 people are involved with volunteering at some 50 of its 400 sites. HOOOH Community Group member, Neil Phillips, and heritage adviser, Tim Malim, recently met with English Heritage representatives to discuss the scope of volunteer involvement. English Heritage has an established management plan in place for the hillfort, though recent wet summers have impacted on control of undergrowth, particularly around the ‘ponds’ or pits on the western side. New gates installed in 2015 have improved access for the landscape contractor. An additional log bench is due to be installed this year by the ‘floating’ path at the western entrance. During a tour of the hillfort, plans were discussed for clearing overgrown areas, especially bracken, with minimal disturbance to wildlife. This would include an annual cutback of willow and woody growth in the winter, and control of bracken in the summer. A newt and ecology survey was undertaken earlier this year to help assess what additional tasks can be tackled, and when, alongside regular grounds maintenance during the next 12 months. English Heritage will be updating its landscape maintenance plan to offer a range of opportunities for volunteers, including a programme of pond clearance this autumn. 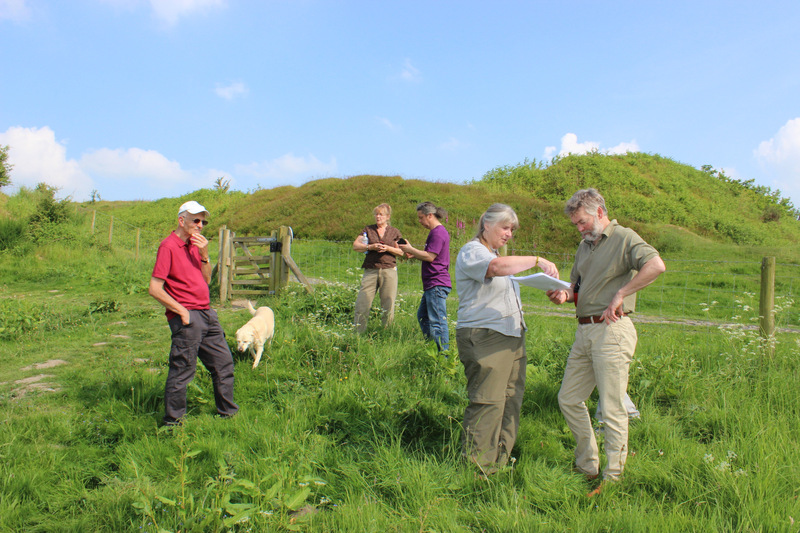 Volunteers, with Maggie Rowlands and Tim Malim in the foreground, get to grips with locations for taking monitoring photography on the hillfort. Tim Malim said: “Managing the earthworks is a complex mission, with the need to balance several conflicting interests. Uncontrolled vegetation is a threat to the monument, and one of the best methods for managing this is through grazing the ramparts. But access to water and steep slopes make this difficult without unsightly fencing being introduced. English Heritage West is responsible for over 135 scheduled and listed sites across a substantial area stretching from the Scilly Isles to Cheshire. The Charity is keen to involve local groups and volunteers as “outreach caretakers” to undertake maintenance tasks and site monitoring. As a first task, HOOOH volunteers have installed ‘No Bikes’ signs to deter bikers from scrambling over the 3000-year-old scheduled earthwork and causing severe erosion scars. Help is also being sought with a fixed-point photography project to document the impact of on-going maintenance work. 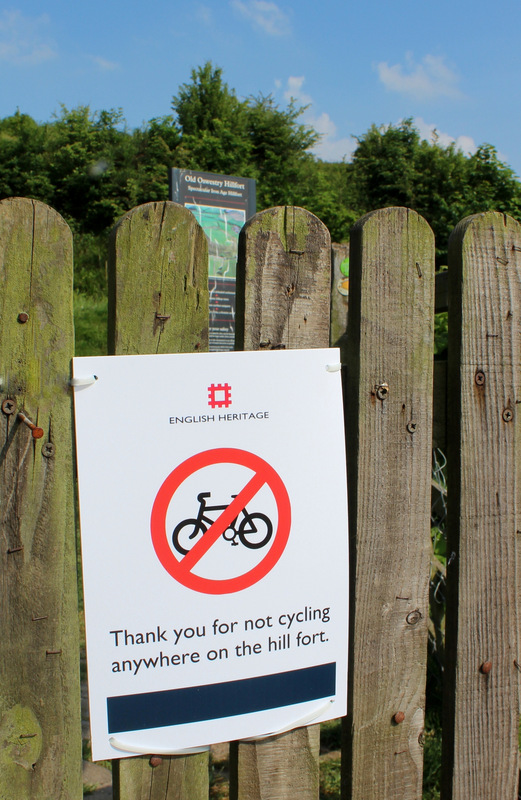 Push-bikes are prohibited as a new safeguard against damage to the 3000-year-old monument which is known as ‘The Stonehenge of the Iron Age’. Before leaving, the English Heritage team visited the Artists Hugging the Hillfort exhibition at the Willow Gallery in Oswestry. With over 60 art pieces, including work by local school children, they were impressed by the local pride and strength of feeling shown for Old Oswestry. Anyone who would like to volunteer should contact Mr Phillips in the first instance on 07751 160576. Looks just like Old Oswestry Hillfort. Yet treated with far more respect by English Heritage! Old Sarum has two advantages over Old Oswestry. It has the sense to be in Wiltshire, where EH wouldn’t dare to do what they’ve done in Shropshire. And it hasn’t been a Rotten Borough since the nineteenth century whereas Shrewsbury patently still is.